Tug workers were exposed to asbestos while doing maintenance work on a BHP tug boat.According to the Maritime Union of Australia, workers were exposed to chrysotile—also known as white asbestos—upon removing material from the tug boat. Two weeks prior to this event, workers walked off their worksite when they found asbestos in another tug boat at the same port, Port Hedland. 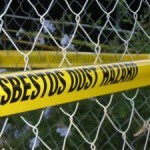 The workers returned to work when the company was ordered to implement precautions that would minimize the risk of asbestos exposure to employees. The MUA claims that workers were exposed to the dangerous substance for up to 24 hours, while one employee could have possibly exposed his family to asbestos when he returned home in his asbestos-covered work clothes.The MUA stated that as far as they know right now, all of the company’s ( Teekay) tug boats could be contaminated and thus they believe an efficient asbestos management program needs to be in place. BHP Billiton claim that they are aware of the contamination from a ‘small amount’ of asbestos exposure.